When it comes to bodybuilding and weight lifting, if it wasn’t for the ‘king of iron’ himself the legendary Arnold Schwarzenegger, then many people believe that the sport and pastime wouldn’t be anywhere near as popular as it now. Before he was an action movie mega star, and before he conquered the world of politics by becoming the governor of California, Arnold Schwarzenegger was a multiple time Mr Olympia winner. He was a hugely successful bodybuilder and had the physique of a Greek god. Arnold also gained a reputation for his unique training style in the gym, taking exercises and adding his own touches that many consider to make them better than they once were. Take the standing dumbbell shoulder press for instance, Arnold wanted bigger and rounder shoulders, so he designed an exercise which was a variation of the dumbbell shoulder press, which was able to hit the front and the rear deltoids at the same time. Over time this became known as the Arnold Press. Here’s how it’s performed. Begin by sitting in an exercise bench with the back support up, whilst holding two dumbbells out in front of you at around chest height, with your palms facing inwards so that they’re pointing at your chest. Slowly raise the dumbbells out above your head, rotating your palms outwards as you lift them. By the time the dumbbells are above your head with your arms fully extended, your palms should now have rotated so that they’re facing directly in front of you, make sure to breathe out as you perform this part of the exercise. 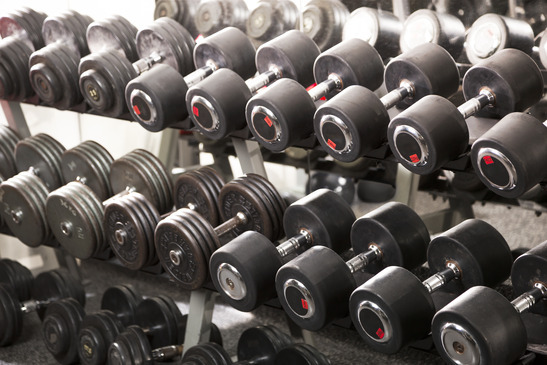 Pause for a second at the top of the lift, and then slowly bring the dumbbells back down to the starting position, rotating your palms in the opposite direction as you come down, until the dumbbells are down at chest height, with your palms facing your chest once more. Repeat the exercise for the necessary amount of required repetitions. No matter how much weight you can dumbbell shoulder press, do not attempt to go anywhere near as heavy with this exercise. If you do, you put a huge strain on your shoulder, which could cause you serious injury. Choose a weight that you’re comfortable with, and assess your strength and form from there. Before it was the Arnold Press, it was known as the Scott Press. Larry Scott, the true inventor of this exercise.